Despite the ongoing conflict in Europe, residents of Kirksville found ways to celebrate and support their community. A great pageant was held to honor the great civilizations of history. A two-day festivity-filled centennial celebration took place to honor the fifty-year anniversary of the Normal School. And the greatest celebration of all occured on November 11, 1918. “That Pageant of Missouri” May, 1916. Considering the ongoing war in Europe, it is interesting to note that the committee selected the theme of the pageant to be the evolution of the civilization of man, calling it the “Pageant of Nations.”3 The pageant was organized into prophecies, interludes, and episodes, with the episodes connected by symbolic interludes. The episodes of the pageant presented the historically accurate portrayals of Egypt, Palestine, Greece, Rome, Medieval Europe, Modern Europe, and America. I am in receipt of your letter of June 25th, relative to the celebration of the fiftieth anniversary of the First District Normal School. I cannot think of anything that would give me greater pleasure than to be present at the reunion of students on this occasion. The school days that I spent in Kirksville Normal School are full of many pleasant memories. Please extend to the students and graduates my very warm regards and accept my very best wishes for the continued prosperity of the institution. I hope to receive a full report of the reunion. 1. 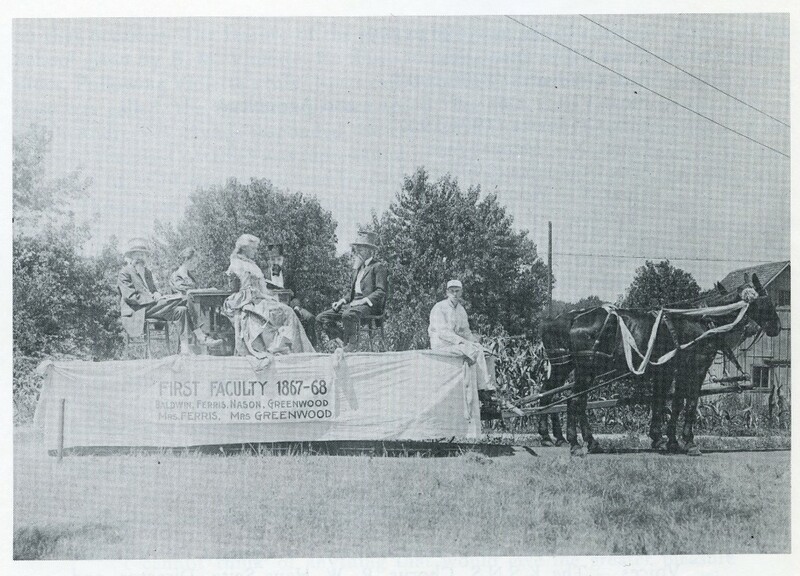 “A Float From the Semi-Centennial Celebration” Walter H. Ryle, Centennial History of the Northeast Missouri State Teachers College (Kirksville: Northeast Missouri State Teachers College, 1972), p. 201. 2. 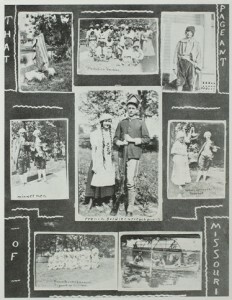 “That Pageant of Missouri,” The Echo: 1917, p. 48, Pickler Memorial Library, Truman State University.